If you have any idea for a web application, we can turn that idea into a reality. We've built everything from simply web form processors to classified government information management systems. We really enjoy building web based software. Have a look at our web development portfolio to see some of the "unclassified" projects. Installation and/or configuration of Wordpress, Joomla, Drupal or any other content management system. Installation and/or configuration of Opencart, Magento, OsCommerce or any other e-commerce system. What makes a custom web design different than a generated solution or a template? We literally design it by hand, our designers will factor every tiny detail you desire into a sketch. Our designers will then digitize the creation into a web-ready design you'll be very proud to call your own. Nobody else on the planet will have the same design and it will be built around your brand exactly the way you want it. There are hudnreds of thousands of pre-built designs available on the internet for incredibly low prices. We love to save our clients money. Using an existing template is an excellent way to get a solid web site for a very low price. A template costs anywhere from $10 to $80 - You simply pay for the customization of it. Having a web site that will rank well in search engines requires more than just good content, it requires a good SEO Architect. We call it SEO Architecture because we go far beyond the basics. You want good SEO because you want interested and relevant traffic. That's just to name a few, we don't guarantee you'll make the front page because nobody can actually honestly guarantee that, we do however, guarantee that the majority of your readers will actually want to see what you are offering them. Transit Network owns hundreds of highly brandable domain names. We have bought and sold domains with over a 20,000% Return on Investment. If you're looking at getting a good domain, talk to us first. We'll tell you our secrets to securing the best name possible whether it be for your company or simply to flip for a profit. Book a consultation today. Our hosting is only available on an invite-only basis to existing web services clients. Web hosting is a very necessary part of having an online presence, what most people don't realize is the important of a good solid web host. The faster a web site loads, the happier the visitor will be. All our web sites perform very well because we put a very limited number of accounts on each of our dedicated servers. 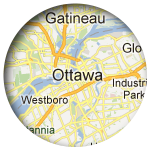 Our dedicated servers are located at a state of the art data center in Montreal, Quebec, Canada. A hub in North America. We have been offering fully featured web hosting on high speed dedicated servers for over a decade. We have hosted thousands of web sites and we've providing personal support for every client that needed it. Hosting with us is the cure for "hosting headaches". Our staff are always ready to answer any questions you may have, please see our rates page for pricing. Transit Network will act as your dedicated partner, we strive to provide the best solutions for any scenario. Even if that means referring a specialist that we're not affiliated with. Allow client full access to watch development in realtime. Launch project per clients approval. Transit Network is one of the oldest web based companies in Canada. We've been around full-time since 1995. This means we've seen and experienced all of it. We are good at what we do because we love what we do. We love it so much that our own network of active web sites contains over 100 properties. The revenue we generate from our own network allows us to provide you with the best, most cost-effective solutions possible.